The White Classic Spaceman is a white variation of a Classic Space Astronaut. It was first introduced in 1978. 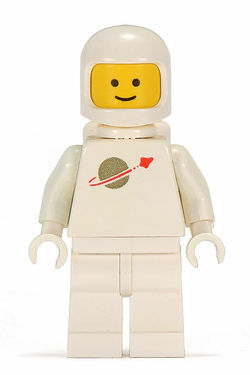 The classic space man has white legs and torso with a Classic Space logo printed on it. He has the 001 smiley head and wears a white helmet. Facts about "White Classic Spaceman"